For MySql there are the PHPmyadmin. 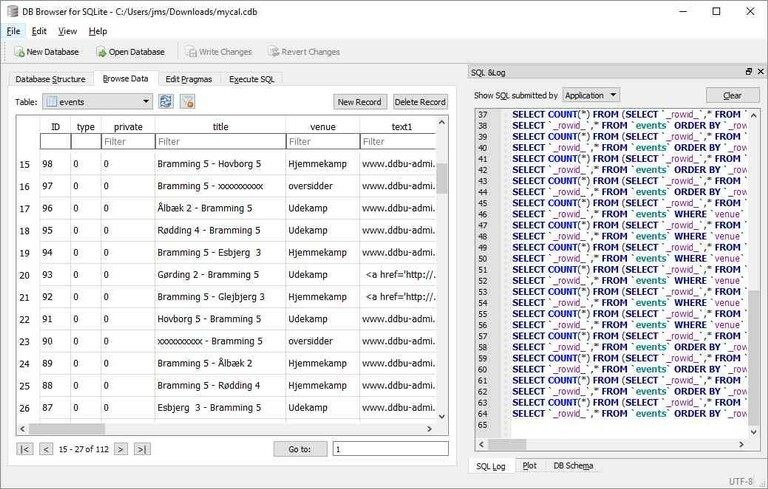 For the SqLite, I use the DB Browser for SQLite. With this browser, You can FTP Your database to Your PC, open it in the browser, and here You can search/filter data. You can filter more rows at the same time, and You can even use operators as <, =>, =. You can export data to TXT or CSV files and You can perform queries. This is a great tool to get familiar with Your database. As You are working on a copy of Your database, You can do nothing "wrong".